BRISBANE, California and NEW YORK, April 2, 2019 /PRNewswire/ -- Sangamo Therapeutics, Inc. (NASDAQ: SGMO), a genomic medicine company, and Pfizer, Inc. (NYSE: PFE) today announced interim data from the Phase 1/2 Alta study evaluating investigational SB-525 gene therapy for severe hemophilia A. Data indicate that SB-525 was generally well-tolerated and demonstrated a dose-dependent increase in Factor VIII (FVIII) levels across the four dosage cohorts. Eight patients total were dosed. Based on these results, the Safety Monitoring Committee (SMC) recommended cohort expansion at the 3e13 vg/kg dose. Further details will be disclosed during Sangamo's conference call and webcast scheduled for 8:00 a.m. ET today, which can be accessed on the Sangamo website. "The interim data from the first eight patients with hemophilia A treated with SB-525 gene therapy in the Alta study are encouraging and demonstrate a dose-dependent relationship, evidence of sustained factor levels, and low variability, both within each patient and within each cohort," said Edward Conner, MD, Chief Medical Officer of Sangamo. "These interim results suggest that SB-525 may be well-tolerated and may prove to have the predictability and sustained treatment effect that can bring clinical benefit in patients with hemophilia A. We need to continue observing how the data mature and how additional patients in the expansion cohort respond to SB-525. 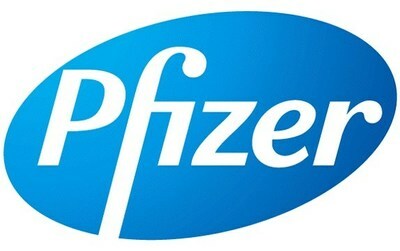 We look forward to working with Pfizer to potentially advance SB-525 into a registrational study." The Phase 1/2 interim data include eight patients treated across four ascending dosage cohorts (9e11 vg/kg, 2e12 vg/kg, 1e13 vg/kg and 3e13 vg/kg, with two patients per cohort). Patients demonstrated a dose-dependent increase in FVIII levels, achieving clinically relevant increases in FVIII activity in the higher dosage cohorts and normal FVIII levels in the 3e13 vg/kg dose cohort (normal range: 50-150%). At week 6 post infusion, the two fourth dose cohort patients reached 140% and 94% of normal (as measured by one-stage clotting assay) and 93% and 65% (as measured by chromogenic assay). A dose-dependent reduction in the use of Factor VIII replacement therapy was also observed, with patients in the highest dose cohort not requiring factor replacement therapy after initial use of prophylactic factor and experiencing no bleeding events to date. SB-525 was generally well-tolerated, with one patient (treated with the 3e13 vg/kg dose) reporting a treatment-related serious adverse event of hypotension and fever, which occurred following vector infusion and resolved with treatment within 24 hours of completion of vector infusion. "The interim results with SB-525 gene therapy for patients with severe hemophilia A are early but very promising," said Barbara Konkle, MD, Bloodworks Northwest and Professor of Medicine at University of Washington and investigator of the Alta study. "It will be important to observe additional patients and for a longer follow-up duration to determine whether these positive interim findings are recapitulated and sustained." Patients in the Alta study were not treated with prophylactic steroids. No treatment-related serious adverse events and no ALT elevations requiring more than seven days of corticosteroid treatment were observed in the first three cohorts. One patient in the fourth cohort experienced an ALT elevation (>1.5x ULN) at week four that required a tapering course of oral steroids. The patient did not have any associated loss of Factor VIII activity or ALT elevations seven weeks following initiation of the steroid therapy (five weeks post vector infusion). The same patient in the fourth cohort experienced the aforementioned serious adverse event. SB-525 comprises a recombinant adeno-associated virus serotype 6 vector (AAV6) encoding the complementary deoxyribonucleic acid for B domain deleted human FVIII. The SB-525 vector cassette was designed to optimize both the vector manufacturing yield and liver-specific FVIII protein expression. The SB-525 transcriptional cassette incorporates multi-factorial modifications to the liver-specific promoter module, FVIII transgene, synthetic polyadenylation signal and vector backbone sequence. "We are encouraged by the early clinical data suggesting tolerability of the recombinant AAV6 vector and potential for normalization of Factor VIII levels. We look forward to the opportunity to expanding the cohort administered a 3e13 vg/kg dose and subsequent planning for the pivotal study," said Seng Cheng, SVP and Chief Scientific Officer of Pfizer's Rare Diseases Research Unit. "As the development and commercial partner for SB-525, we are encouraged by the possibility that SB-525 may one day transform the treatment landscape for patients with hemophilia A." Longer-term follow-up data will be presented at an upcoming scientific meeting. Per the SMC recommendation and study protocol, the fourth cohort will be expanded by up to five patients. Patient enrollment is underway. In addition to the partnership for the development and commercialization of gene therapies for hemophilia A, Sangamo and Pfizer are also collaborating on the development of gene therapies for amyotrophic lateral sclerosis (ALS) and frontotemporal lobar degeneration (FTLD) using Sangamo's proprietary zinc finger protein transcription-factor technology. The Phase 1/2 Alta study is an open-label, dose-ranging clinical trial designed to assess the safety and tolerability of SB-525 in up to 20 adult patients with severe hemophilia A. The U.S. Food and Drug Administration has granted Orphan Drug and Fast Track designations to SB-525, which also received Orphan Medicinal Product designation from the European Medicines Agency. SB-525 is being developed as part of a global collaboration between Sangamo and Pfizer. Sangamo Therapeutics, Inc. is focused on translating ground-breaking science into genomic medicines with the potential to transform patients' lives. Our capabilities in gene therapy, cell therapy, genome editing, and gene regulation allow us to apply the appropriate therapeutic approach to the underlying genetic cause of the disease. For more information about Sangamo, visit www.sangamo.com. The information contained in this release is as of April 2, 2019. Pfizer assumes no obligation to update forward-looking statements contained in this release as the result of new information or future events or developments. This release contains forward-looking information about an investigational hemophilia A agent, SB-525, including its potential benefits, that involves substantial risks and uncertainties that could cause actual results to differ materially from those expressed or implied by such statements. Risks and uncertainties include, among other things, the uncertainties inherent in research and development, including the ability to meet anticipated clinical endpoints, commencement and/or completion dates for our clinical trials, regulatory submission dates, regulatory approval dates and/or launch dates, as well as the possibility of unfavorable new clinical data and further analyses of existing clinical data; risks associated with interim data; the risk that clinical trial data are subject to differing interpretations and assessments by regulatory authorities; whether regulatory authorities will be satisfied with the design of and results from our clinical studies; whether and when drug applications for any potential indications for SB-525 may be filed in any jurisdictions; whether and when regulatory authorities in any jurisdictions may approve any such applications, which will depend on myriad factors, including making a determination as to whether the product's benefits outweigh its known risks and determination of the product's efficacy and, if approved, whether SB-525 will be commercially successful; decisions by regulatory authorities impacting labeling, manufacturing processes, safety and/or other matters that could affect the availability or commercial potential of SB-525; and competitive developments. A further description of risks and uncertainties can be found in Pfizer's Annual Report on Form 10-K for the fiscal year ended December 31, 2018 and in its subsequent reports on Form 10-Q, including in the sections thereof captioned "Risk Factors" and "Forward-Looking Information and Factors That May Affect Future Results", as well as in its subsequent reports on Form 8-K, all of which are filed with the U.S. Securities and Exchange Commission and available at www.sec.gov and www.pfizer.com. This press release contains forward-looking statements based on Sangamo's current expectations. These forward-looking statements include, without limitation, statements relating to an investigational hemophilia A gene therapy, SB-525, including its potential benefits, plans for the ongoing development of SB-525 and plans to present additional data, and plans to collaborate with Pfizer on other product candidates, as well as other statements that are not historical fact. These statements are not guarantees of future performance and are subject to certain risks, uncertainties and assumptions that are difficult to predict. Factors that could cause actual results to differ include, but are not limited to, risks and uncertainties related to uncertainties inherent in research and development, including risks associated with interim data; the possibility of unfavorable new clinical data and further analyses of existing clinical data; the risk that clinical trial data are subject to differing interpretations and assessments by regulatory authorities; whether regulatory authorities will be satisfied with the design of and results from our clinical studies; whether and when drug applications for any potential indications for SB-525 may be filed in any jurisdictions; whether and when regulatory authorities in any jurisdictions may approve any such applications, which will depend on myriad factors, including making a determination as to whether SB-525's benefits outweigh its known risks and determination of the product's efficacy and, if approved, whether SB-525 will be commercially successful; decisions by regulatory authorities impacting labeling, manufacturing processes, safety and/or other matters that could affect the availability or commercial potential of SB-525; competitive developments; and Sangamo's reliance on partners and other third-parties to further develop product candidates. These risks and uncertainties and other risks are described more fully in Sangamo's Annual Report on Form 10-K for the year ended December 31, 2018 as filed with the Securities and Exchange Commission. Forward-looking statements contained in this press release are made as of this date, and Sangamo undertakes no duty to update such information except as required under applicable law.